Count the cost of dipping on your health, finances, personal life and relationships. Weight these against the advantages of quitting dip. Have the tools for success. 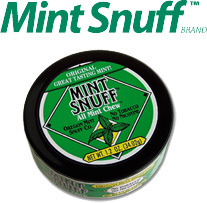 Products like non tobacco snuff, herbal drops or other non tobacco substitutes are integral tools in the quitting process. Partner with someone who is familiar with your habit and has a desire for you to quit chewing tobacco. This could be your wife, girlfriend, brother or close friend. This person will be able to keep you accountable and encourage you throughout the whole quitting process.